If you’re a fan of horror games then you are probably going to want to stick around for this one. 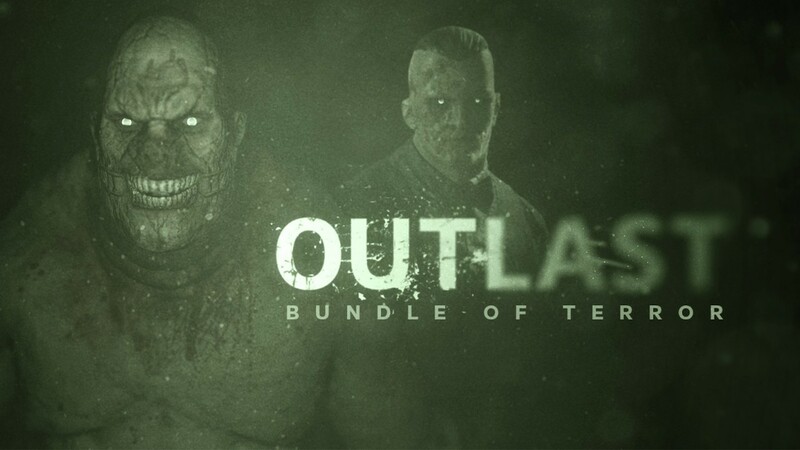 Outlast: Bundle of Terror merges the original Outlast base game and it’s downloadable content into one package and offered to Nintendo fans for the first time. It was well received back when it released on other consoles and put developer Red Barrels firmly on the map, with another excellent second game following, which has also released on Nintendo Switch, and a third game confirmed. The only question is then, does it hold up well on the portable home console? Taking a step back slightly, for those that have no idea what Outlast even is, you take up the role of a journalist called Miles and you must investigate Mount Massive after getting a tip-off about some dodgy goings on (you learn more about this in the included downloadable content episode). After making your way into the asylum, the atmosphere kicks in immediately and there is no turning back. The atmosphere is without a doubt what Outlast has going for it in the opening sections. Rarely have I played a game where I have had to stop my character moving because I didn’t want to walk another step to see what might be lurking around the corner, and that happened to me a couple of times during my playthrough. The bad news about that, however, is that both of those moments, and indeed most of the terrifying moments of the game, happen within the first two hours and, after that, it peters out a bit. I’m not saying the game completely goes sour but without any doubt, the first half of the game is head and shoulders above the second half, which is a shame as it would have been a classic had it kept it up for the full duration. The action is somewhat limited, but that isn’t necessarily a bad thing as it mainly serves to increase tension and fear for the player. You have no weapons at any point during the game, you cannot use the environment to deal damage to enemies, nor can you defend yourself in any way, meaning when you get seen, you basically have to leg it. There is no other way. You are able to hide from the monsters in places like lockers and under beds, although this does eventually start to become bothersome and rather mundane the more you do it, but it’s a system that is a necessity and it certainly works as it should do. The only thing you get armed with is an old school video camera (old school meaning not a phone camera in this instance) and this is your biggest ally. It not only allows you to record and document certain areas of interest, but, more importantly, see in the dark using its night vision mode. This means you’ll be playing a lot of the game in a lovely shade of night vision green, which might put some people off but it’s a choice that I think works well as it certainly never bothered me. The game stops you from abusing your night vision mode by having it drain your battery fairly quickly. Once it’s drained, the only way of recharging is by inserting new batteries which hopefully you have been keeping an eye out for as there are a limited amount of batteries in the game. While I never came that close to running out of them, I would restrain from constantly using them, and this is where you need to pick and choose when to turn the night vision mode on. The camera also has a zoom function too, so if there is an enemy way off into the distance and you don’t want to get too close, you are able to simply zoom in and track their movements in order to plan your next move. Considering this is a game from 2013, the visuals still hold up really well now. Okay, there are a few signs of it being a little bit dated, but the game is dark and murky by nature, which helps cover up some of the shortcomings. Each environment you come across is well detailed and it creates a believable if slightly disturbing abode to explore, but that is exactly what we want. The audio is also very well done too, as it helps drive up the atmosphere during the quieter moments, with music cues heightening the sense of fear during the chase scenes. Performance wise, Outlast: Bundle of Terror on the Switch runs equitably well and I rarely had any problems playing in both the TV and handheld mode. I did notice a few instances of slowdown but it was that minor that it never affected the gameplay in any way. I didn’t, however, like that the game loads at seemingly random times. It was very rare that this happened, but I’d be walking along and then all of a sudden the game would stop and start loading. On the occasions it did happen, it severely interrupted my flow and was pretty off-putting. Luckily, like I said, it only happened a handful of times. The Nintendo Switch is starting to build up a nice library of horror titles and, as with Outlast 2, this is one of the better offerings the console has to offer. But, it’s not without its problems. Coming in at around five hours for the base game and another two hours for the included Whistleblower downloadable content, you have yourself a game that doesn’t outstay its welcome. However, it must be said that there is a huge difference in fear, enjoyment and overall quality during the first half of the game compared to the second.